My 11 year old son Tommy (N1SPY) completed a project where he compared a 1W lightbulb to a .25 W radio beacon that he put together and bet that the radio beacon can be heard around the world. I asked him to document his activities as he went along. The project took a couple of months but is now complete and we stitched together a video of his activities. Wow–Tommy, you’ve done an amazing job here! I especially like how you’ve taken time to explain the principles behind the various steps of the process. Brilliant job! Tommy, your future videos are always welcome here. Keep up the good work and we’d love to hear how many new countries you’ve racked up on your WSPR system! 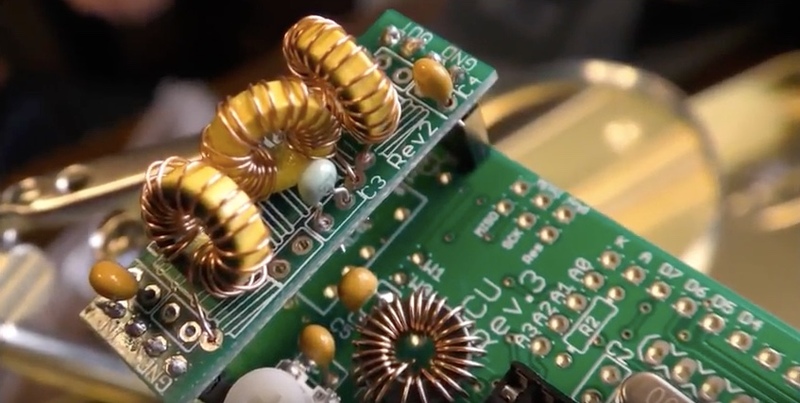 This entry was posted in Digital Modes, Ham Radio, How To, Kits, News, QRP, Videos and tagged Ham Radio, Ivan Cholakov (NO2CW), Kits, Tommy Cholakov (N1SPY), WSPR, WSPR Kit on June 17, 2017 by Thomas. Tommy, do you speak Bulgarian? Tommy – Dude what an amazing idea and experiment! Congratulations! Very cool!! !